Atlantic Renewables have successfully installed a new flat roof solar array at an apartment complex in Manchester. The client, a building contractor, needed five apartments to be powered by a 1.25kw system. This required a total array size of 6.25kW in order to meet BREEAM New Build Construction standards and building regulations for energy efficiency. As regulations require buildings to be ever more energy efficient, solar has become an easy way for construction companies to meet the required energy efficiency ratings for new buildings. Solar is the perfect choice for this due to its falling costs and the ease of installing the panels. The client therefore needed a reputable MCS Accredited installer and contacted us for a complete solar solution. The five separate solar systems required had to be mounted on a flat rubber roof Sarnafil single ply membrane covering. This meant that we needed to use a ballasted system that could hold the panels in place without damaging the membrane underneath. Atlantic Renewables then visited the site and conducted a loading report, including calculating the amount of ballast required. We followed this up by creating a full design with schematics and a payback report (i.e. a calculation of the money saved over time by investing in solar energy). One major challenge at this point was the space available, but we worked around this in the design. Once the client had approved our design, we set to work again. It took us only two days to install the system, and we provided all materials throughout the process. Moreover, all of our staff have full health and safety training, including PPE and CSCS cards, so we work safely and efficiently at all times. The system installed uses high-quality tier-one 270W Yingli Polycrystalline solar panels. These offer great efficiency, as well as being well within the budget of our contractor. The panels also come with a 25-year performance guarantee. All of the flat roof mounting equipment used is corrosion-proof stainless steel, too, and comes with a 12-year warranty. Overall, then, the client can rest assured that the system will be safely mounted and working effectively for years to come. 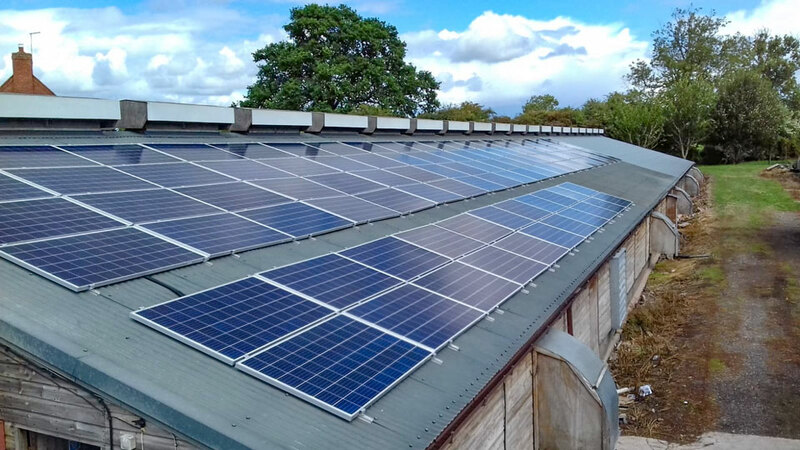 To get this in place, our Atlantic Renewables solar electrician installed the five SolaX inverters, safety switches and generation meter, while our solar roofers fitted the array and mounted all of the DC cabling into waterproof cable tray. The company director, Dean Flute, was on site to make sure that all works ran smoothly. To address the space constraints, the solar systems were split into two separate arrays on the flat roof. This approach allowed us to install an effective system without any roof penetrations, ensuring the minimum of fuss and absolutely zero leaks. 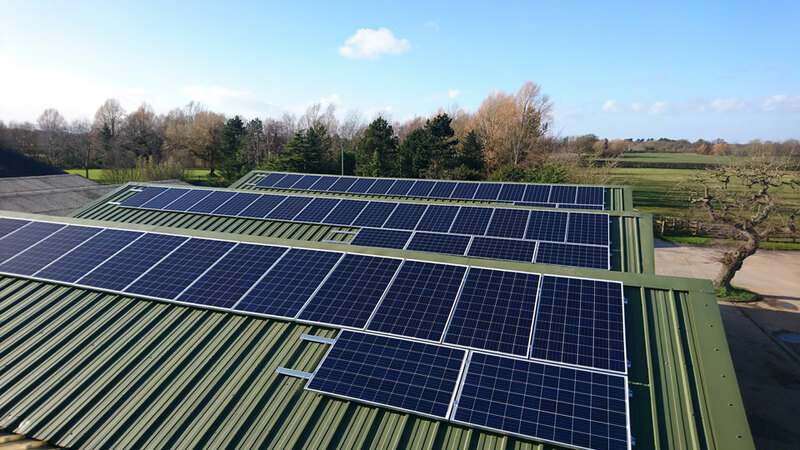 If you are a building contractor or mechanical and engineering company that is seeking assistance with a flat roof solar system in the Manchester area, get in touch today and ask to speak with Dean Flute. Why not ask us to call you at your preferred time? *This form collects information about you so we can contact you to discuss your requirements and keep you up to date with company news and industry developments. 51 Hillcroft Road, Altrincham, Cheshire, Greater Manchester, WA14 4JE.